Today I promised to give myself a break- to rest and stay home on a Friday night. This week and last went by like a breeze. I barely had time to sit and think. The usual routine after getting home from work was to lie down for a bit, shower, have some quiet time until I doze off. This time, for a change, I'm in bed, Facetime-ing with my mom, dilly-dallying, and reading blogs. 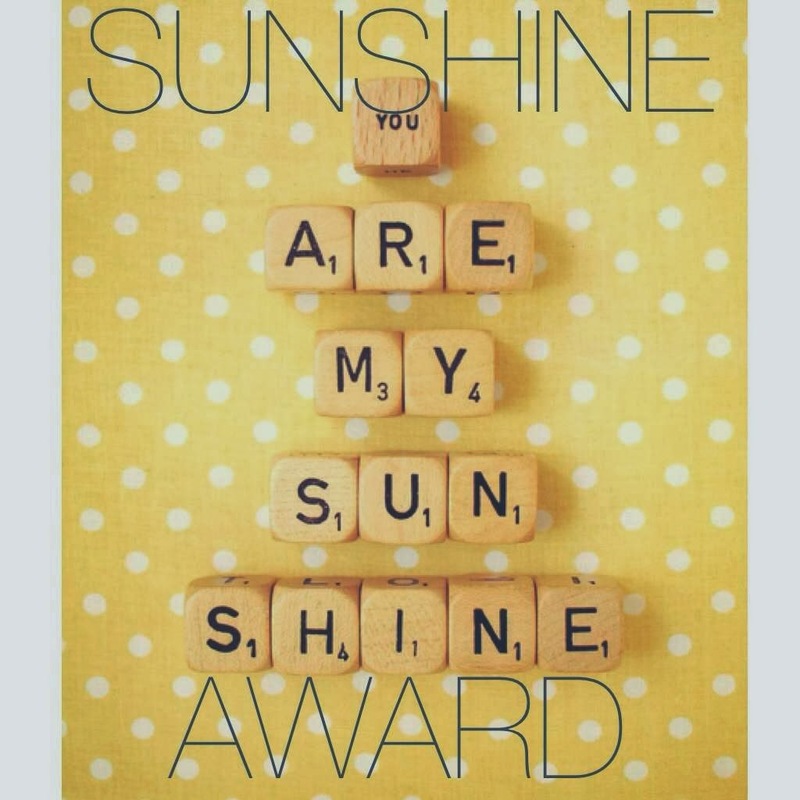 I leared that Jean tagged and nominated me for the Sunshine Blogger Award. Thank you, Jean! I didn't know my blog can bring sunshine to anyone. I'm unwinding tonight by answering your questions. So how do I go about this? I just referred to Jean's post and practically did what she wrote. 3. Answer 11 questions from the nominating blogger. 4. Link back to the blogger who nominated you. 5. Nominate 11 wonderful bloggers that you feel bring sunshine to the blogging world. 6. Write 11 questions for your nominated bloggers. 1. My full name's Jacqueline. You can call me Jackie, Jacque, Jacq, Jacqs- spell it whichever way you want, I wouldn't mind. My dad and my aunts call me Siobe (little sister in Fookien, since I'm the youngest), or if they're mad, they'd call me by my full name. 2. Nobody believes me when I tell them I used to work for Eat! Bulaga. Yes I had a short stint as a creative writer, in charge of scripts. Remember the "Sa Pula, Sa Puti" game, "Taktak mo or Tatakbo" "EBest Scholars"? Those were some of the projects assigned to me. I took up AB Communication Arts in DLSU Manila and after graduation I did some Marketing stuff, then became an EB babe (haha kidding). 3. I currently work and live here in Taipei. 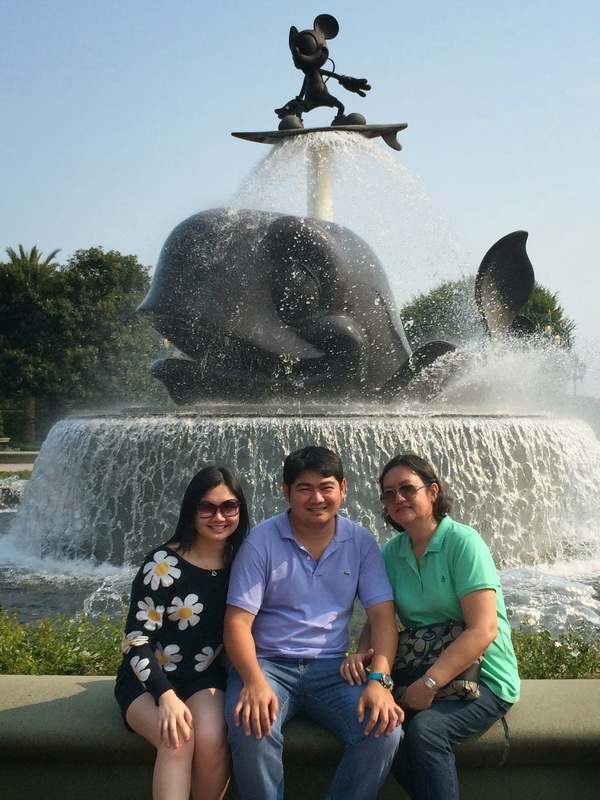 After a two-year MA scholarship program in a Taiwan university, I was able to land a job. The first two years as a writer-editor, and now as a communications officer. I still get homesick quite a lot after almost 5 years of living here, but I'm coping. 4. I have two big brothers. Big as in big in size, and older than me. We used to fight a lot back in the day, but now we long for each other's kakulitan. 5. I'm usually quiet. I like keeping my thoughts to myself. But when I'm with my girl buddies, we do a lot of girl talk. I miss sleeping over at my friend Kaymee's house. I remember talking about our future at 3:00 in the freaking morning. We called those the "3:00AM talks." 6. I have two sets of barkada. One from high school, one from college. We've known each other for over a decade and we've realized that we have matured when we stopped fighting over silly and petty things. Girlfriends are the best support group one can ever have. And they make great travel buddies too! 7. I love traveling. I try to save some amount of money so my mom can tag along. We've traveled to Kuala Lumpur, Vietnam and Cambodia together. Our last one was in Hong Kong. I love it when I see her smile when she sees new places... the simple pleasures of life. 8. I only learned to speak Filipino when I was around 6. I grew up speaking Ilocano and Fookien in the province. My parents moved us from Cagayan Valley to Manila for a proper Filipino-Chinese education. I think my Ilocano is better than my Tagalog. 9. I'm 25 and I'm excited to turn 40. Really. I once looked up to Carrie Bradshaw but I know I can never ever afford that kind of life. Now I wish for my own family at 40. 10. I don't can't dance. I was not blessed with this talent. Thankyouverymuch. 11. I like having my me-time every now and then. It's my only way to recharge. I take a walk in the park (Taipei has a number of huge parks, safe for walking even at night), or spend time at a nearby cafe. 1. What time do you usually wake up and get up from bed?- I'm usually awake by 6.30am, but I get up at around 6.45 to 7.00. 2. What do you do first thing in the morning?- I utter a short prayer of praise and thanks to begin my day then use the bathroom. 3. Coffee or tea?- Green tea with honey. 4. What is your favorite breakfast food?- Sinangag with tapa or longganisa, hotdog or bacon :) I miss this. Our mom prepares our breakfast. 5. Any other morning ritual?- Here in Taipei, I usually plug my electric kettle before going to the bathroom to brush my teeth. That way, when I'm done, the water has boiled and I can take some Milo or anything hot. Haha weird ritual, I know. 6. Care to share your top/favorite be-happy tip? - Whenever you're down, just smile and think positive. Smiling brings about a very pleasant feeling and lifts up your mood. 7. What's your plan on how to spend the rest of your summer?- Well no summer break here in Taipei. Just work, but we have an upcoming trip to Russia next month for business. Hopefully it pans out. 8. How do you cheer yourself up when you're feeling low?- I talk to friends. I'm glad my friends are always a Viber-away. Back up plans: do the laundry, or head to the grocery. Never fails. 9. How do you relax?- I'm a girl, so I do the occasional shopping. Some retail therapy wouldn't hurt. If short on cash, some coffee, tea and cakes at a random coffee shop will do. 10. Favorite chill-out place?- The great outdoors. I'm blessed to be here in Taipei where everything is within reach. I can do a short hike in Elephant Mountain and just enjoy the scenery, or watch the sunset by the river. 11. Pool or beach?- Beach, please. 2. Your favorite travel destination? 4. Describe an unforgettable moment. 5. What is your usual daily routine? 8. Any beauty tip you want to share? 10. Name a gadget which you cant live without. 11. (The usual HR question) How do you see yourself in 5, 10 years? Ahhhhhhh vacation. My brother is home for his annual month-long vacation and we have planned to go somewhere for some r and r. He's supposed to visit me here in Taipei, but since I said I wanted to go some place else, we agreed to do a Hong Kong-Macau trip. My brother is never the type who will research and make an itinerary. My eldest brother, however, took an extra effort when I visited him in the US few years ago. His flatmates told me he's been preparing for my visit and I really did appreciate that. For this trip though, I'm in charge of the itinerary. The plan was pretty simple: to eat a lot, and shop a little. 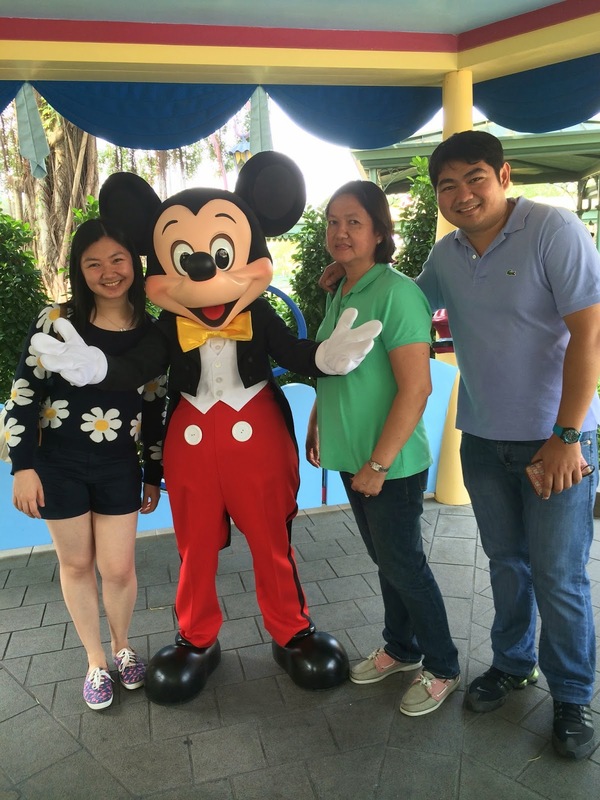 I arrived HK early Thursday morning and waited for my mom and brother at the airport. I flew straight from Taipei and agreed to meet them there. After having our US and NT dollars changed, we boarded the Airport Express train to reach the city. Travel time takes around 24 minutes from the airport to Kowloon MTR Station. Safe, reasonably-priced and very convenient. 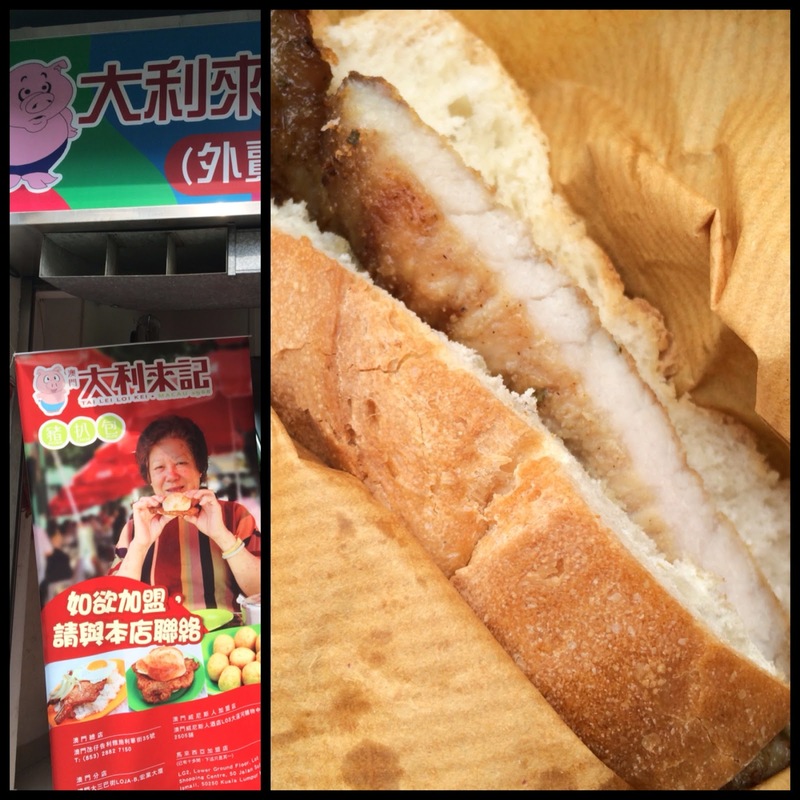 Day 1 was for some sight-seeing and mostly looking for cheap thrills and good eats. You should have seen the joy in our faces when we spotted the restaurants that I listed for lunch and dinner. They were all soooo delicious. Tsim Chai Kee at MTR Central Station serves delicious wanton noodles- flavorful broth and wantons with huge delectable shrimps (I'm salivating now). 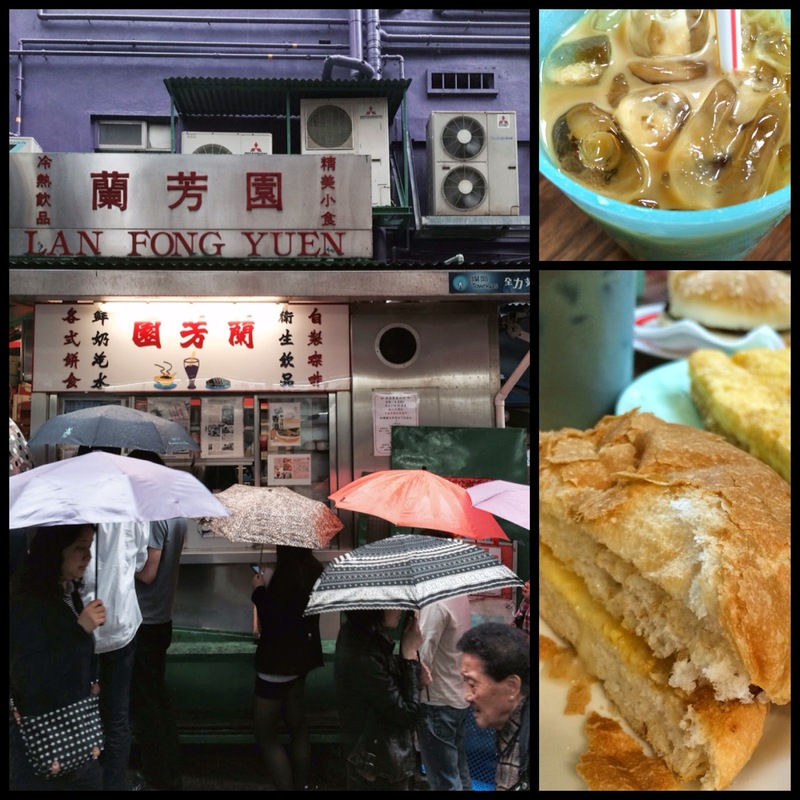 Lan Fong Yuen is few blocks away from Tsim Chai Kee and has velvety-smooth Cantonese milk tea. Their polo buns are addictive, toasted edges but soft center drizzled with condensed milk. 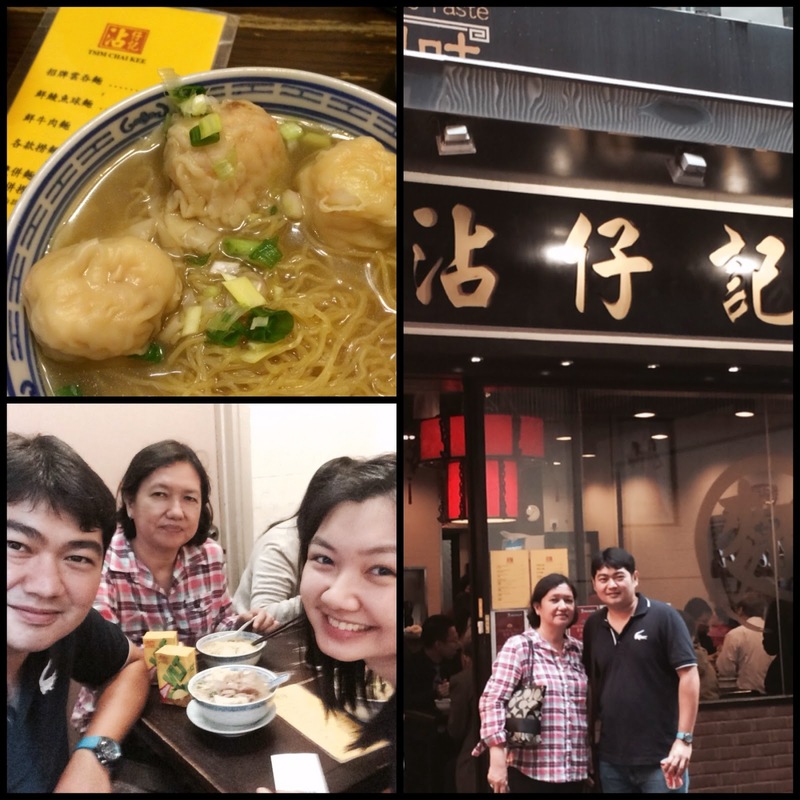 For dinner, we headed to MTR Wanchai Station and looked for Joy Hing Roast Meat Restaurant. We've been here during our last visit in 2011, and I knew my brother will like it. Roasted pork bbq, duck, goose, chicken, roasted any thing- my brother said it's one of his best meals. Day 2 was our trip to Macau. We took Cotai Jet and arrived Macau at 11:00am. Shuttles from the ferry terminal to different casino hotels are free. We boarded Wynn's shuttle and we got there right on time for the mini dragon show at the lobby, and the water fountain show. From Wynn, we walked to Senado Square (a good 15-20 min walk) and had our lunch at Wong Chi Kei Noodle and Congee House. 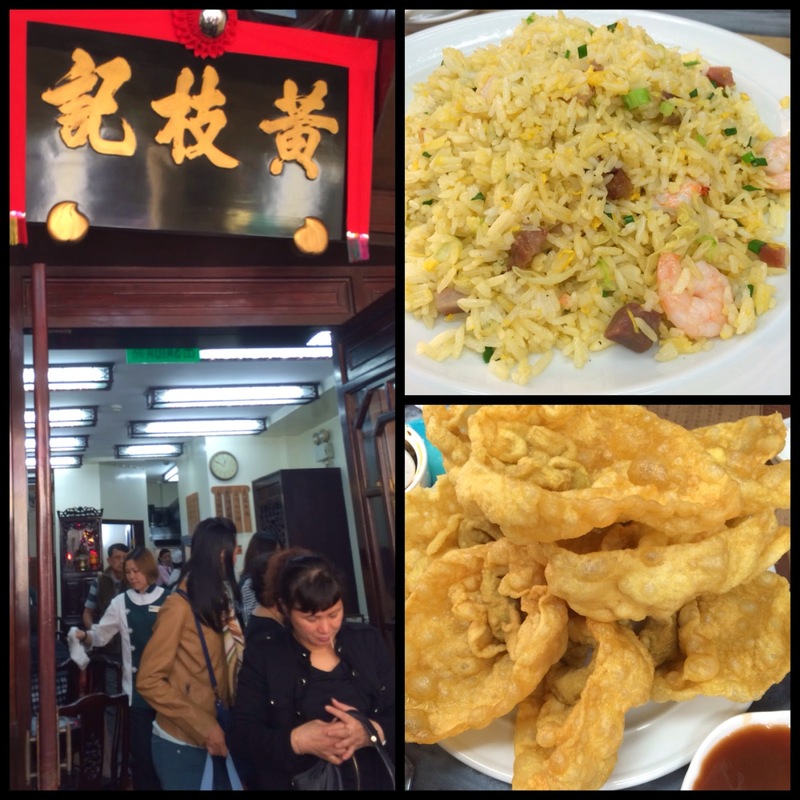 Their deep fried wantons with sweet and sour sauce were delish, as well as their Yang Chow fried rice. We took several snaps at the St. Paul Ruins and walked a bit before lining up for the famous Ta Lei Loi Kei Porkchop Buns. Dang those porkchop buns were so simple yet so amazingly good. The meat itself was very tasty, and the bun was crunchy-soft. After our fill, we walked back to the nearest hotel from Senado Square, which is Grand Lisboa. 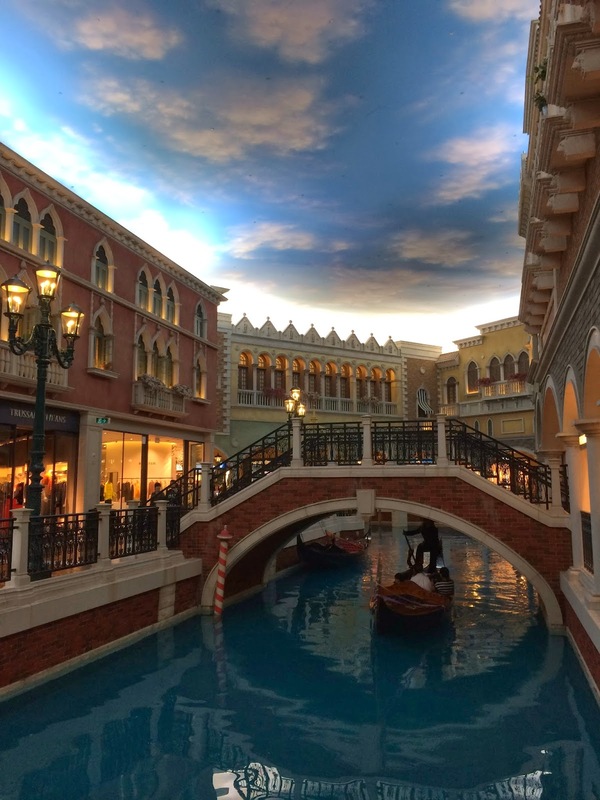 We took a shuttle going to the ferry terminal, and looked for the free bus going to Venetian Hotel. We left Macau around 7:00pm. Day 3 was a visit to the happiest place on earth- Disneyland! Believe it or not, it's my brother's first trip to Disneyland. He was quite shocked at how expensive the entrance ticket was. He even thought of staying there the whole day "para daw sulit," to which my mom reacted and said we still have to go to City Gate Outlet Mall for shopping. From City Gate, we took the MTR to Causeway Bay for some more shopping. 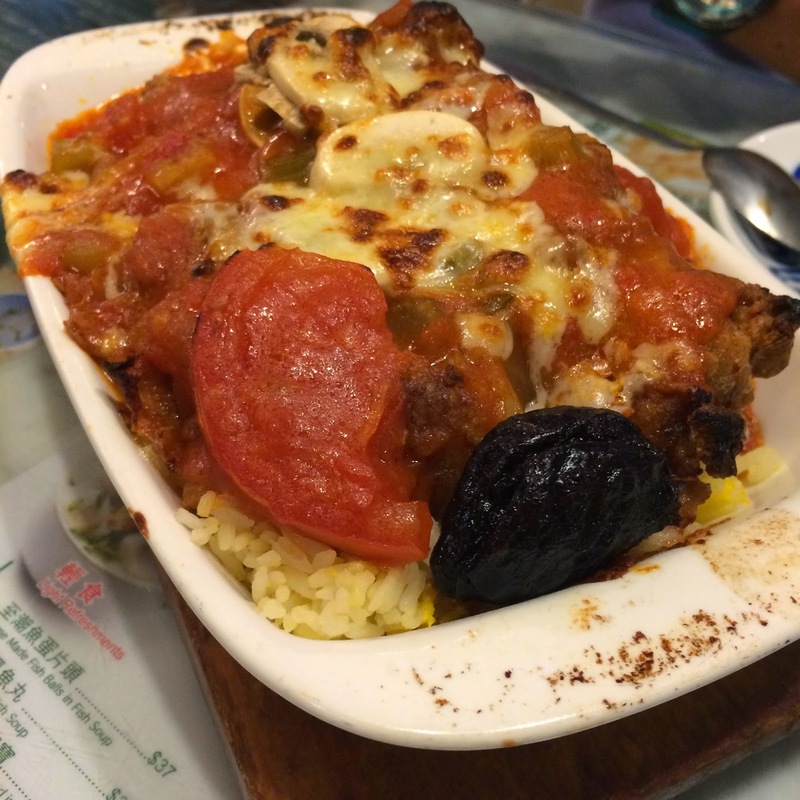 We dined at Tsui Wah Restaurant and tried their signature baked porkchop dish. My brother and I had to share because the serving was huge, but it was great nonetheless. Last stop for the day was Mongkok night market. By far the most tiresome day. Day 4 was our last day in HK. 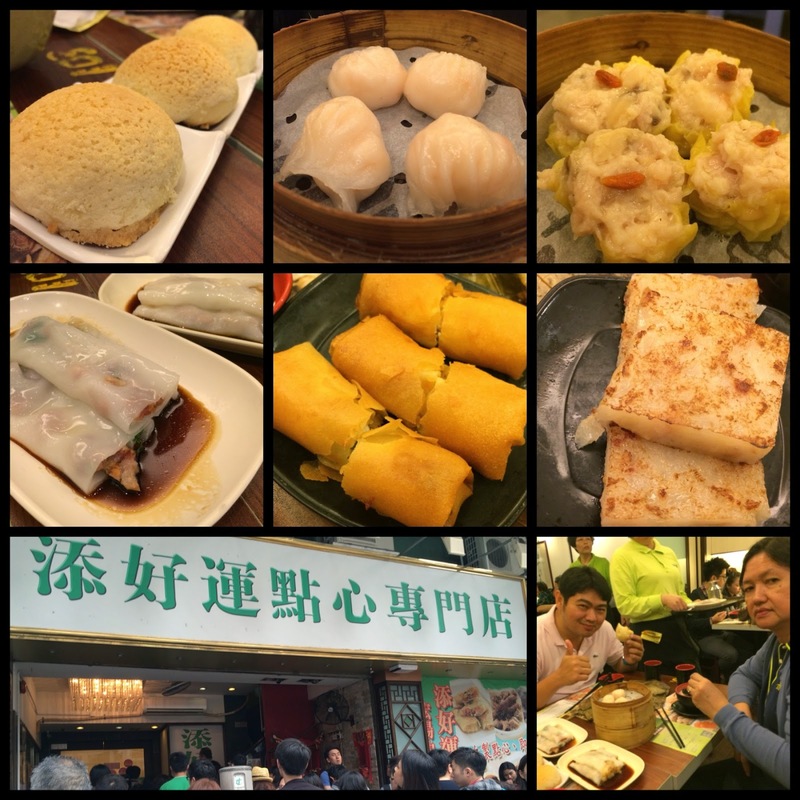 We skipped breakfast at the hotel and went straight to Tim Ho Wan Sham Shui Po dimsum restaurant. TIP: They open at 8:00 am. I suggest you get there before 10:00am, otherwise the waiting time will be more than an hour or two. I'll let the photos do the talking :) Dimsum heaven, really. Until next time, happy Hong Kong! Thank You, Lord for the wonderful four days spent with my mom and my brother.